Point2 Homes gives you far more than a simple list of houses for sale. Get instant access to a lot of relevant information about Strathcona, Edmonton, AB real estate, including property descriptions, virtual tours, maps and photos. The search results pages also have a wealth of information on Strathcona, Edmonton, AB, if you scroll all the way down. 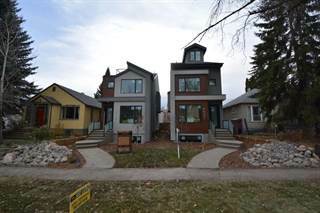 There are 50 houses for sale in Strathcona, Edmonton, AB. Searching homes for sale in Strathcona, Edmonton, AB has never been more convenient. 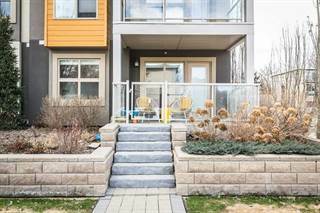 With Point2 Homes, you can easily browse through Strathcona, Edmonton, AB single family homes for sale, townhomes, condos and commercial properties, and quickly get a general perspective of the real estate prices. Also, you’ll never miss a bargain if you filter listings based on house price drops in the past six months. Use the map view to find Strathcona, Edmonton, AB homes and apartments for sale, based on amenities or city features that you may want close by. You can close in on a specific neighbourhood or area by simply drawing around them with the polygon or radius tools. Stay informed about the latest entries on the real estate market by saving your searches. This way, you get new listings in your inbox, daily or every week, based on your preferences. If you’d like to get in touch with a professional, agents are displayed next to their listings, and they’re easy to contact through the online forms. If you want more options, you can click the Tools tab and Find an Agent, and you’ll get a list of helpful and knowledgeable real estate agents in Strathcona, Edmonton, AB. Visit the Point2 Homes blog and you can find up to date expert advice on many markets throughout Canada, regular market reports, neighbourhood scoops in cities throughout the provinces, real estate deals and useful recommendations. Avenue Magazine recently named Strathcona Edmonton’s best neighborhood for the third time. These accolades are well deserved as living in Strathcona has a lot to offer. The neighbourhood will turn 102 years old this year and it has been a cultural centre in Edmonton for quite some time. The neighbourhood is bordered on its south side by Whyte Ave. The north end borders the river valley, while to the west it is bordered by Garneau (along with the University of Alberta). Finally, the east end borders the beautiful Mill Creek Ravine. The history of Strathcona dates back to 1891, when it was the end of the railway that came from the south. Because of the large river valley, Edmonton was actually two different cities – north of the river was Edmonton, Alberta and south was Strathcona. Thus Strathcona (also known as “Old Strathcona”) has a more historic feel than downtown Edmonton, as in this area many of the old buildings still remain intact. This gives the neighbourhood a very charming feel – the image of an old western town. The original railway station and some of the first businesses are also intact to this day. Next to downtown, there is no better place in Edmonton for entertainment than Strathcona. The area has a lively and active theater district that is particularly eventful during the Fringe Festival. A local favorite is Blues on Whyte, which has live blues music every night of the week. Some of the most famous Blues artists in the world have made a stop here, as it is a long standing stop on many artist’s tours. There is also the Yardbird, which has live Jazz along with a few other live music venues like the Pawnshop; the Pawnshop features live rock bands. To go along with the abundance of artistic things to do in Strathcona there are also plenty of outdoor entertainment activities. Strathcona is surrounded by green space which makes it ideal for bicycling, jogging and cross country skiing. Being a trendy neighbourhood, the real estate market in Strathcona is fairly expensive. The per-square-foot rental rate for a business on Whyte Avenue is higher than anywhere else in the city. The large number of pedestrians walking up and down Whyte Ave makes it a lucrative place to open up a restaurant or shop. The area is situated on a grid type block system with mostly old houses along the streets and avenues. 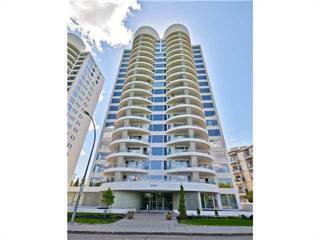 There is however a large number of condominium buildings, particularly on the North edge overlooking the river valley. These are some of the nicest condos in Edmonton that are quite expensive, but there are less expensive condos further from the river valley. Whyte Avenue, as mentioned, is not a quiet street. The street is packed with people until late into the evening. Thus, anyone looking in this area should be aware of this. With that being said, the area gets very quiet as you move a block away from Whyte. Generally, the neighbourhood is very quiet in the residential parts. The area is surrounded by green space, so it is really not very polluted. One of the major downsides of this area is the Crime Rate. While the crime rate generally isn’t that high, it is higher than you might expect. Whyte Avenue has many bars and is known for incidents that occur mostly late at night. The biggest school in the area is the University of Alberta, one of the biggest and best Universities in Canada. The largest non-post-secondary school is Strathcona High which is one of the biggest schools in Edmonton. Strathcona High is no longer located right in Strathcona, but is a short bus ride or walk to the south. Public transit in Strathcona is good but it isn’t the best. The closest LRT (light rail transit) location is at the University, which is a 10-20 minute walk. The area does, however, have plentiful bus service and it is easy to get to the University terminal which offers great access to the rest of the city. Strathcona in general is a very young area with plenty of students and artists. Thus it is not the place you find many families, but it is still a nice place to raise children. The area has abundant schools and parks along with a fun atmosphere. There are plenty of kid-friendly festivals to go along with the more adult oriented Whyte Avenue scene.